Please use coupon code 15JUNEHBD for 20% off any single order in the month of June. Coupon is valid through June 30th. Sales items are not eligible for additional discounts. 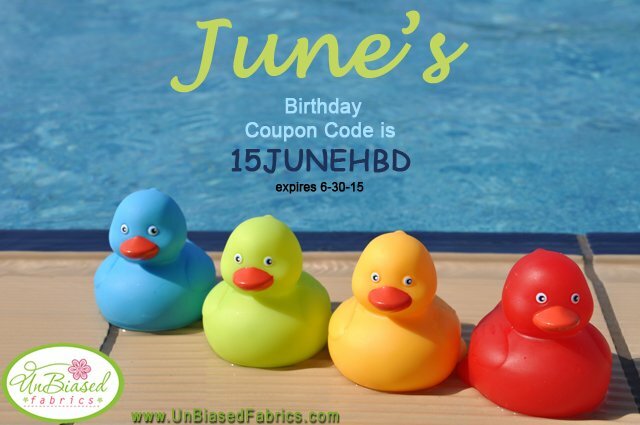 If you have trouble applying the coupon code in the shopping cart, just email us at UnBiasedFabrics@comcast.net and we'll get it straightened out before charging your credit card!